Showing results for "conversations worth having"
Conversation is a crucial part of everything we do. It influences our well being. Most of us are unaware of the nature of our conversations, let alone how to make them consistently affirming and empowering. 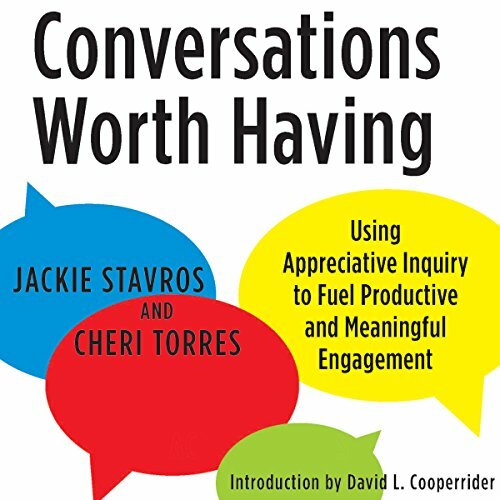 Teaching us how to use appreciative inquiry, one of the most effective and widely-used approaches for fostering positive change, to dramatically improve the outcomes of our conversations, this guide focuses on what we want to happen instead of what we want to avoid and asks questions to deepen understanding and increase possibilities.